Locality: United States, Florida, Putnam, United States: Florida: Putnam County. Ordway-Swisher Biological Station; Management unit B-2a; southwest corner of property, beside Baden Powell road. Elev. 52 m Roadbank. Anthers orange; stigmas purple. Lat. 29.66803N Long. 82.02856W Datum: WGS84. Occurrence Remarks: [Label note:] Ordway-Swisher Barcode voucher 000520. --[Label note:] Additional material: digital images; sample for DNA analysis. 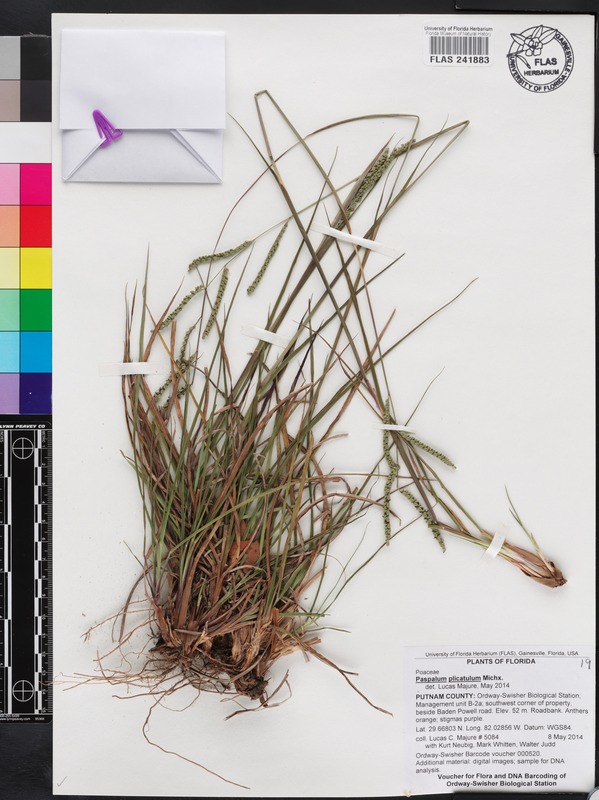 --[Project:] Voucher for Flora and DNA Barcoding of Ordway-Swisher Biological Station.